I really liked the thought and sentiment behind this blog post and the peaceful dog video attached. I hope you do too. The last couple of days have been filled with sadness and anger and fear. I am saddened by the loss of life. I am angry that so much harm has been done and that we seem to be beyond communicating with one another. I am heartbroken that so many families are grieving today. On days like today, I need to get away and walk with my dogs. I need to think, process what has happened. I need to be in nature. That’s why I chose this video for today. I am hoping it brings you the zen I seek as I head out today. Be thoughtful. Be safe. Be kind. Daybreak – HD from Steven Dempsey on Vimeo. I often chat with my human clients (the ones who pay the bills) when working on their dog. 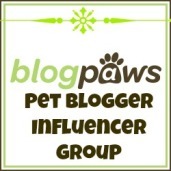 This week, one my clients and I were chatting about her dog’s nutrition plan. She mentioned that her neighbor was feeding a cheap food that wasn’t balanced. And more importantly, he didn’t seem to care. I don’t understand why some people get a dog and then never let it live inside the house with them and their family. I don’t understand why dog owners think ‘cheap’ anything is appropriate for their dog’s health and well-being. I don’t understand why people adopt puppies and then don’t take them to puppy training classes. I don’t understand why people adopt older dogs and don’t invest the time to train them. I don’t understand why anyone things it’s okay to hit a dog, or neglect it. I don’t understand why some dog owners don’t take their dog out for daily exercise and enrichment. I don’t understand why some people don’t accept their lifetime responsibility to their animal. I don’t understand why people don’t spay or neuter their dog (and then some put it up for adoption and expect the new owner to do it). I don’t understand why some people have children and then say they have to re-home their dog because they are too busy – the dog was there first. I don’t understand why, when their dog is in pain or injured, the owner goes onto Facebook for advice rather than taking their dog to the vet (with urgency). I have been lucky enough to have some incredible dogs in my life (above are Daisy (now deceased) and Izzy (my retired racing greyhound). I proudly say that they have always come first. Fidele, the Golden Labrador who lived at the Bed and Breakfast Coté Canal and made a small appearance in the film In Bruges, passed away in early February at the age of 12. His owner, Caroline Van Langeraert, has said that Fidele became an icon, with tourist boats along the canals stopping so tourists could take photos of him in his regular resting space at the window of the bed and breakfast. He is irreplaceable. Many tourists will have photos and videos of Fidele in his spot at the window, as seen here in YouTube.